The second season of Telltale’s The Walking Dead has finally arrived. It was teased for months and we even got a “season 1.5” with 400 Days but now we finally get to continue the adventure of Clementine as she attempts to make a life during the zombie apocalypse. With season one being Game of the Year worthy (including winning the prestigious award from this very site), there certainly were concerns over whether Telltale would be able to retain the same level of quality moving forward. I am happy to report that season two looks like it will keep churning along with an initial episode that maintains the excellence of the series so far. 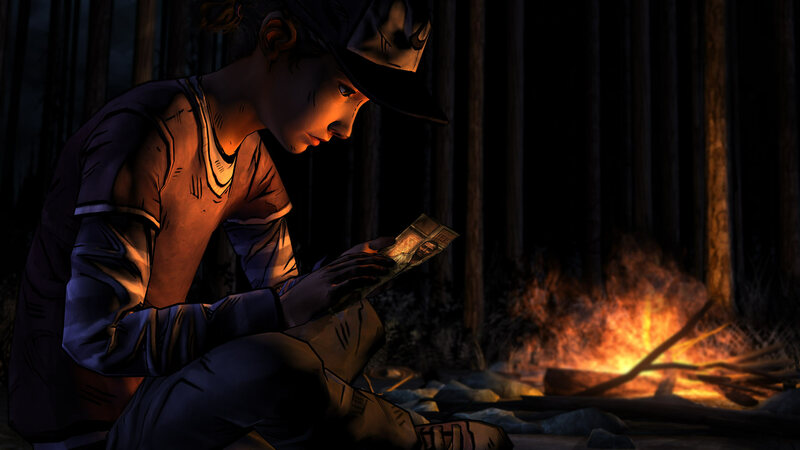 Season two starts off, as everyone expected, with the player now controlling the young heroine, Clementine. Episode one, All That Remains, takes place 18 months after the events of the first season and Clementine has definitely grown up, both in age as well as experience. 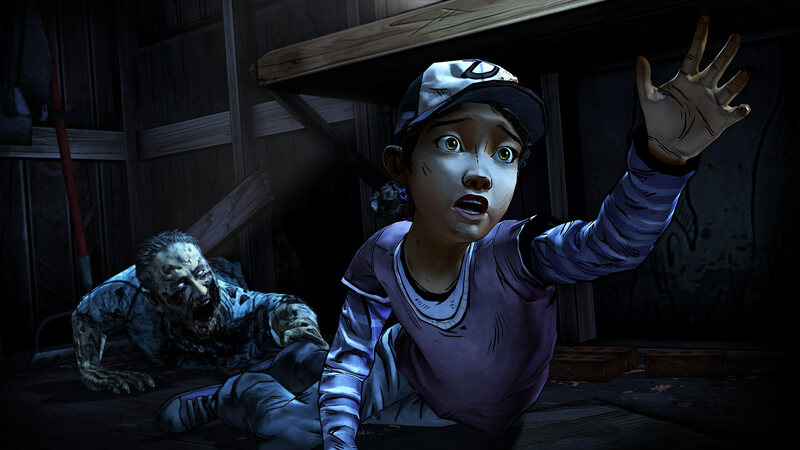 The meek, timid Clem of the first season has given way to a girl that is strong, decisive and smart. She does show her youth at times but for the most part, the end of the world forces her to put away childish things and act much older than her age. As The Walking Dead is a game strictly about story, I won’t go into much detail about what actually happens in the episode. Naturally, Clementine does not go alone into the world. There are a couple reoccurring characters from the original season as well as plenty of new, interesting characters to meet. However All That Remains is clearly a story about Clementine and it’s incredibly compelling. Even though Clementine is tougher, she ultimately is still a little girl, which means that when she gets into trouble, she is usually outmatched. She has to rely on her smarts to get out of nasty situations. Without the rock of Lee to stand on, Clementine has to continue to learn to fend for herself while also being wary about who she trusts. Just because the main character is now a young girl does not limit the game from presenting dark, mature themes. Characters will die – naturally – and there are still events will shock you and make you squirm. Even after six previous episodes of The Walking Dead, Telltale shows that they still have new places to take the story and new, twisted situations to put the player in. It’s just great. Also, in true Telltale style, the game ends off with a great preview for the next episode that will leave you wanting more. Perhaps the only downside to the shift to Clementine as the main character is the voice direction. Overall the voice acting is well done with perhaps the exception being Clem herself. Not to say that Melissa Hutchison does a bad job voicing the young girl. It’s just that Clementine is being portrayed as the same young, whiny girl from the first season, which at this point doesn’t seem to mesh well with an older, confident Clementine. It will be interesting to see how this role evolves as the series progresses but for All That Remains there does seem to be a slight disconnect. As far as gameplay goes, The Walking Dead is pretty much exactly as you remember. If you played Telltale’s other series, The Wolf Among Us, you’ll be pretty familiar to the enhancements they made to the quick time events. If you haven’t, expect the action to be less clunky as well as more options within various scenes. The action still takes a backseat to the story and the choices presented but now when it does happen, it’s a good deal better than it was at the beginning of the series. 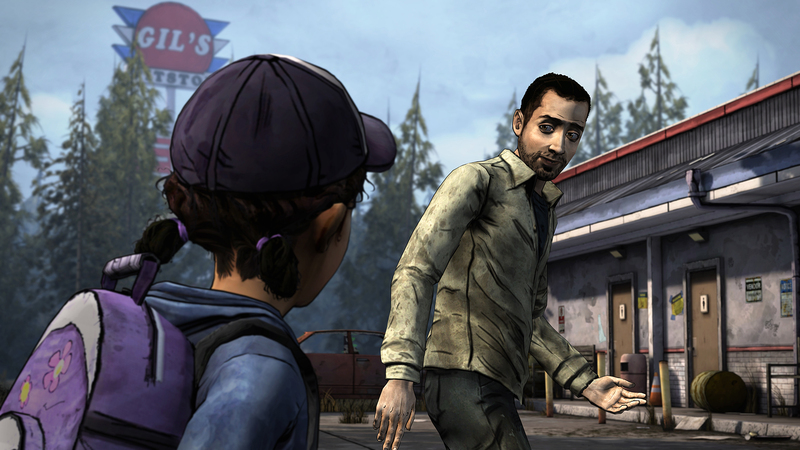 Exploration and light puzzle-solving still exist but The Walking Dead is still an adventure game through and through. The Walking Dead is a hard game to really discuss at this point. If you haven’t played or didn’t enjoy the original season, there is really nothing here to draw you in. If you did play the original season, then this new season is required playing as far as I am concerned. It’s another great episode in the series that has a slightly different tone but overall retains the great quality we all hope and expect. Anyone who questioned whether the game would be able to retain the level of quality of the first season needn’t worry: Telltale and Clementine look more than capable of carrying this series forward excellently. A code for The Walking Dead Season 2 was provided to Pixel Related for review. Tags: All That Remains, Telltale Games, The Walking Dead. Bookmark the permalink.